musics Felix Mendelssohn, Daniel Teruggi, Bertrand Maillot stage design Ernest Pignon-Ernest costumes Philippe Guillotel lighting Dominique Drillot video Gilles Papain directing assistant Nicolas Lormeau aerial structure realised by La Linea - Cassis, François Derobert, Pierre Villard, Guillaume Letestu, Antoine Petitrenaud risers made by les Ateliers Simonini - Paris props and costumes Ateliers des Ballets de Monte-Carlo under the direction of Jean-Michel Lainé. Cupid’s magic flower wreaks havoc in the hearts of Athenians, in the palace of Theseus. Love games, spells, jealousy and intrigue... The ingredients of Shakespeare's dreamy comedy glide on the wildest wings of desire. In the capable hands of Jean-Christophe Maillot, at the head of the Monte-Carlo Ballet for the last 20 years, A Midsummer Night’s Dream needs no words. The choreographer leads his corps de ballet through a danced narration, to the rhythm of the music and chorus. These remarkable dancers are as one in this romantic and sensual contemporary choreography, at times so close to gestural theatre. 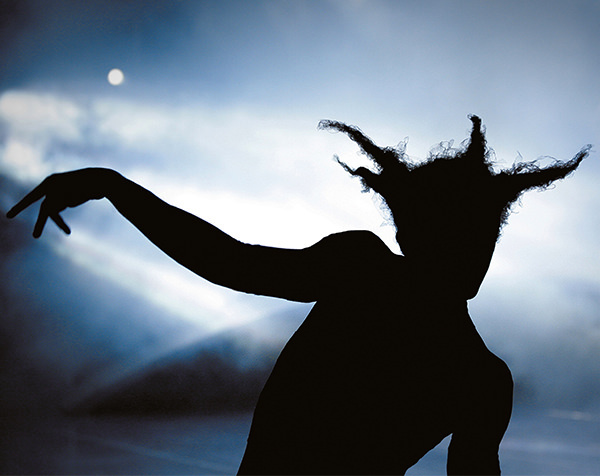 Tender, facetious, ingenuous, fiery, defiant and profound, three generations of dancers present a human microcosm which entangles itself with humour and grace in the complicated web of these mythical characters. They are the energy that drives this grotesque and poetical fairy fresco, which juggles with the natural order of things. Ernest Pignon-Ernest’s set accentuates the fanciful dimension of the play. Sure to thrill those who like to flirt with the improbable and skate on the outskirts of dreams. Fairy, animal, dancer... If man were all that ? The dizziest of Shakespeare’s plays spun by the magical Monte-Carlo Ballet.